News, science and advice you may find useful. Reading - Identify, Comprehend, Coordinate, Repeat. Reading is defined as a multifaceted process that involves recognising words (identify), understanding the meaning of the words and sentences (comprehend) and doing so in a fluent manner (coordinate). The aim is for the reader to extract meaning from print. This takes us back to the previous blog post. Can the child break words apart? Can the child match letters to sounds, for example, the letter ’r’ makes a /r/ sound and the letters ‘s’ and ‘h’ can be put together to make the /sh/ sound. Can the child use letter-sound knowledge to read unfamiliar words. This is the act of sounding out, or decoding. Can the child store words (sight words) and then identify those words automatically and quickly, such as ‘and’ or ‘the’. Reading bookmarks - these are fun to make and are easily accessible. Grab some coloured paper and some Textas and you’re ready to go! They are most effective when they include the main goals that the child is working on with their reading. sounding ‘in’ when reading, whist another, on acknowledging punctuation. Children begin their literacy development with phonological awareness. Phonological awareness is a child’s ability to reflect on the structure of words they hear. According to current research, these skills are a predictor for later literacy acquisition. With strong phonological awareness skills children are able to link their spoken language, written language and understand as well as access and achieve the school curriculum. 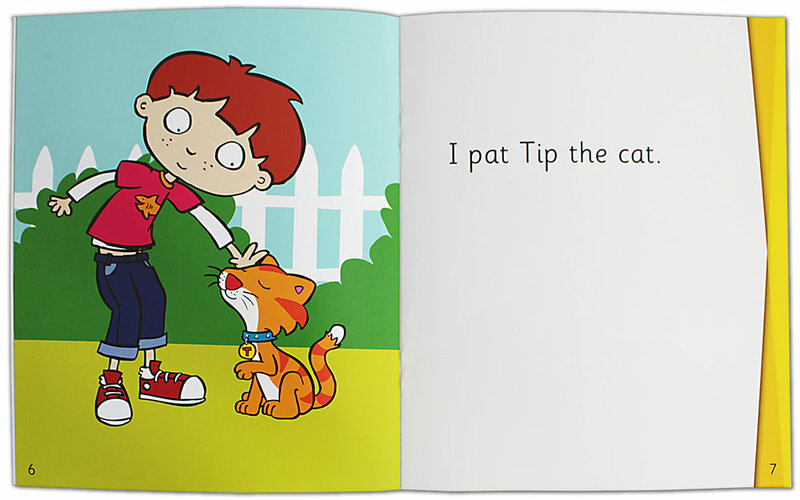 Now that we’ve got an understadning of phonological awareness skills, how might we teach them? If you are working on sounds, you might say, “find a word that starts with the /s/ sound” (make sure you use the sound - “sssss” and NOT the letter). This could include words like soap and sock. If you are working on letters, you might say, “find a word that starts with the letter ‘S’. This could include words like soap and sock but also, show and shoe. 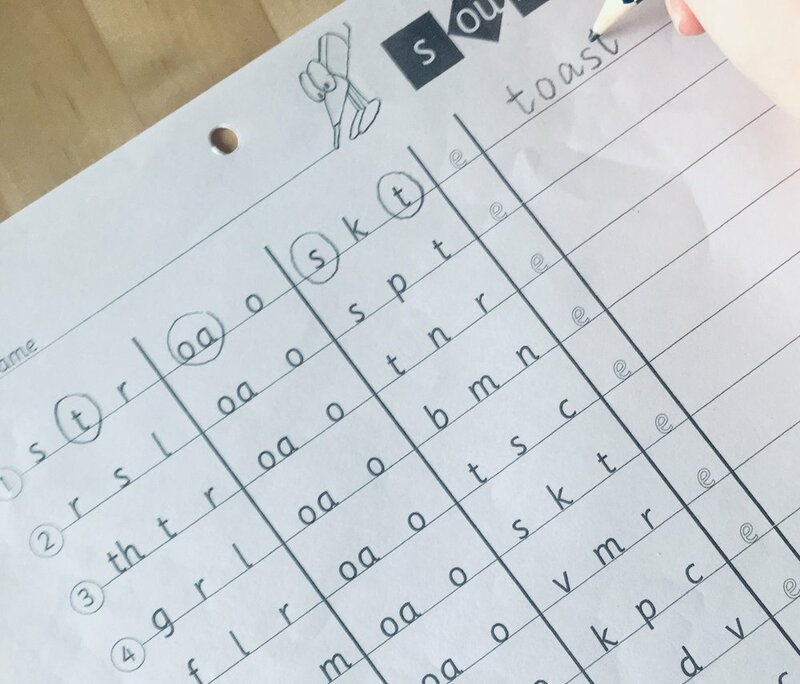 With a solid foundation of these pre-literacy or phonological awareness skills, children can then begin learning about the wide variety of graphemes and letters used in the English language! Gillon, G. T. (2004). Phonological awareness – from research to practice. the guildford press New York. Back to School - Let's Talk Routine! New year + new term + new teacher = difference expectations and lots of firsts for your kiddos! Back to school time can take its toll on everybody in the family. Waking up early, having breakfast, getting dressed, brushing hair and teeth, making the bed and packing lunches, homework, library books and news. Phew! And that’s all before the school day even starts! So, let’s talk routine! Recently, a parent approached me. Her daughter was beginning Kindy and asked, “children work better with routine, right?” I was thrilled that this topic was brought up, ideal for our first blog post of the year! Effective routines are predictable and help children to know what to expect. It helps to decrease tantrums and meltdowns - who has time in the morning for that? For all children but specifically those with expressive language delays, routines provide the opportunity to model functional vocabulary - words that children will hear and are expected to understand and use during everyday tasks. What does the research say? Routines help to limit distractions and manage behaviour therefore impacting on children’s emotional, cognitive and social development. Ultimately, routines provide security and more effective use of time. At school you will notice that routines are used when entering the classroom and when transitioning between activities, and in speech therapy session, visual schedules are commonly used to provide children with clear goals and guide them through the session. We spend more time working on speech and language goals, less time discussing what are we doing next and most importantly, reduce anxiety of the unknown. Why not start by setting a morning routine to help you and your family start off the school day calmer, happier and more productive! The festive season is fast approaching and we’re sure our kiddos, families, teachers and therapists are looking forward to a well-deserved summer break! But, with all the family gatherings and long days in the summer sun with friends, it’s easy to put speech practise on the back burner. So, how can you support speech and language development during the summer months? So, you’ve received a letter inviting your child to participate in a Kindergarten Speech Pathology screening. At Subi Speech we offer Speech Pathology screenings for Kindergarten aged children – keep on reading to find out it involves! A short presentation at the Kindergarten information evening can be provided. This is where the speech pathologist can be introduced to the parents, the screening process can be explained and consent forms handed out. The screening sessions will be 20 to 30 minutes long. The Screen of Communication Skills (SOCS) will be used. It assesses: speech, language (semantics, comprehension, grammar and narrative) and phonological awareness. This assessment enables the comparison of children’s scores to norms, based on the score of children within the same age group, in Western Australia. A report that includes: a description of the assessment tasks, the child’s results in comparison to age norms, a summary of areas that are developing well and those that need support and recommendations for therapy and for speech and/or language facilitation at home. A following up meeting with the speech pathologist to discuss screening results and speech intervention. A brief overview of the areas that were assessed, and the child’s abilities (below, within or above normal limits). A spreadsheet that lists all the scores of the children in their class. If a child has been identified to have speech and/or language delays an in-depth assessment or therapy may be recommended. Individual speech therapy sessions in 5-week blocks are offered. These can be held at the school. The sound of literacy learning: Practical tips for acquiring pre-literacy skills. Ahhh, doesn’t that take you back? These are the skills that children learn about in Kindy and consolidate in Pre-Primary and Year 1. However, there are lots of things that parents can do to help children of all ages tune into the sounds in speech. 3) Bounce a rhyme around. Start with a simple rhyming word, like “pot,” and pass play from person to person as quickly as you can. Each person must think of a rhyming word before play passes back to the first person. So get talking, and get creative! Encourage your child to have fun experimenting with sounds, and help lay the foundation for literacy. Love, E. & Reilly, S. (2012). School readiness and early literacy. Retrieved from www.loveandreilly.com.au/images/pdf/schoolreadiness.pdf. Gillon, G. (2008). The Gillon phonological awareness training programme. Christchurch: University of Canterbury. In this month’s blog I would like to talk about the amazing changes that occur in children’s language between 3 and 4 years of age. Up until 3 years of age children will be most comfortable talking about the “here and now”. So they are happiest talking about what is right in front of them, such as “look, truck”. So it’s easy to follow their lead, make comments, and expand on their language such as “ yes, a big yellow truck”. The magic happens around 4 years of age, the age at which children start to talk about the “there and then”. This coincides conveniently as their lives begin to expand and they start attending Kindy and other outside groups. As their world expands and they want to talk about these new experiences, they need new language structures to support this growth. They need new connecting words to join up their new experiences in the retelling such as “and, and then, because, so and but”. To be able to link two ideas together shows a huge increase in children’s complexity of language. Such as “and we saw a train and then we got an ice-cream” This linking of ideas is the first step towards “literate style" language which is vital for story telling, telling news and explaining games. They also need to refer to people with pronouns such as “he, she, us, them, they and it”. These forms can get confusing for the language learning as we need to help these develop such as “we went with she” rather than “we went with her”. Pronoun use is a great window into children’s developing complexity of language. All of these structures and forms of language are exactly what children need to navigate their way through the first years of school. Therefore, their language moves along the oral/literate continuum. At home in the first years their language is “oral” in nature. For example, “put that there” can be understood perfectly when you are face to face and one on one. More “literate” language moves towards the written form of language. For example, “pick up the yellow pencil and draw a circle around the sun”. The language of instruction and description is much more specific. Children need exposure to this type of language before the formal processes of reading and writing begin. This truly is a magical stage of language development. So get talking and listening for the development of the language of learning! Brown, R. (1973). A first language: The early stages. London: George Allen & Unwin. Modelling, recasting, praise, self-talk... You may have heard your child’s speech pathologist use words like this during therapy sessions, or maybe you’ve been asked to incorporate these techniques into home practice. But what do they mean? How do I use them? And how will they help my child’s speech and/or language development? Definitely! Research in the area of grammatical acquisition found that children’s grammatical skills improved when they hear the correct grammar used in adult language. Especially when these utterances built upon the child’s. Evidence also states that modelling techniques are effective, as they give the child the opportunity to hear the correct use of language or pronunciation of speech sounds. This enables them to store it correctly and sets them up to master it themselves. Adults model language and speech to their children naturally in conversation. However, for children with speech and/or language difficulties this is not enough. They need lots (and lots!) of repetition. Now you know what we Speechies do all day! (Well, a fraction of it anyway!) During your next at-home practise session, playtime or conversation with your child, give some of these techniques a go!